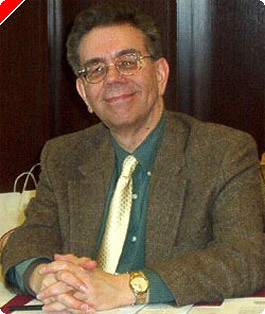 This article originally appeared on Pokernews.com, November 14, 2006. Duplication is a cute tactical idea which can lead you to make the right play in a wide variety of situations. The basic idea is pretty simple. You find yourself in a vulnerable position. You roll an awkward number. No matter what move you make, your opponent will have some bad things he can do to you next turn. You want to minimize the number of his rolls that can hurt you. What to do, what to do? Try to play your number in such a way that your opponent needs the same number to accomplish his goals everywhere on the board, rather than different numbers in different places. In this way, you reduce his effective numbers to a minimum, giving yourself the best possible chance to survive. Black owns the cube, and leads by 37 pips in the race. That's the good news. The bad news is that his 6-1 roll forces him to break the 16-point, leaving two blots. Where should he leave his two outside blots? Duplication gives the answer. If he foolishly plays 16/10, 16/15, White can hit with any 5, any 3, and a few more combination numbers (2-1, 1-1, 4-1, and 6-4), a grand total of 27 shots. That means a full 75% of White's possible throws will hit a blot and almost certainly win the game (or even a gammon). That was actually a pretty easy example of duplication. Black had to leave a shot in two different places, so he arranged his checkers so that the same number hit in both cases. Other examples of duplication are more subtle. See if you can find the duplication in the next problem. In this murky position, Black has already doubled but is now trying to rescue his two loose checkers and get them to the safety of his prime. White's game is choppy, but if he can keep hitting Black's blots, he may develop solid winning chances. What does duplication have to do with this problem? The right play is actually 16/14. This seems strange since, at first glance, it doesn't seem to matter whether Black leaves White 2s or 4s to hit, whereas it's obvious that 7/5 improves Black's distribution. To see why this is the best play, we have to look deeper and see what White will actually do with his various rolls. Suppose Black plays 16/14 and gives White deuces to hit. Now imagine the position without the loose Black checker on the 14-point, and take a look at how White's deuces would otherwise play. 6-2 would be played 24/16, escaping a checker. 5-2 would be played 6/1*, 3/1, making the ace-point, putting Black's rear checker on the bar, and activating the partly-dead checker on the 3-point. 4-2 would be played 8/4, 6/4, making the 4-point. 3-2 would be played 24/21, 3/1*, moving a spare to the edge of the prime and hitting loose. 2-1, the worst roll, can still be played 24/21, reaching the edge of the prime. What's important to notice here is that each of White's rolls containing a deuce is already constructive. 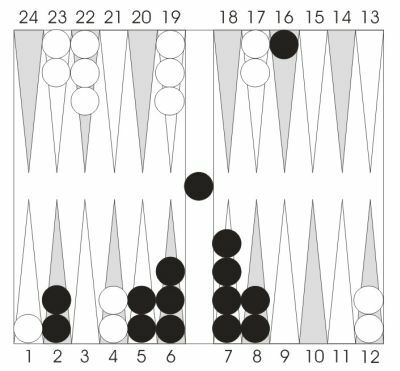 If Black leaves the blot on the 14-point, White will elect to hit with a deuce, but his relative gain is not very great since he could have played the deuce effectively in any event. Now let's imagine the loose Black checker off the board and see how White would play his fours. 6-4 is awkward; White has a choice between 21/11 and 13/3, both of which are bad. 5-4 would be played 13/8, 13/9. White surrenders control of the outfield. 4-3 would be played 24/21, 13/9. A reasonable roll. 4-2 makes the 4-point as before. A constructive roll. 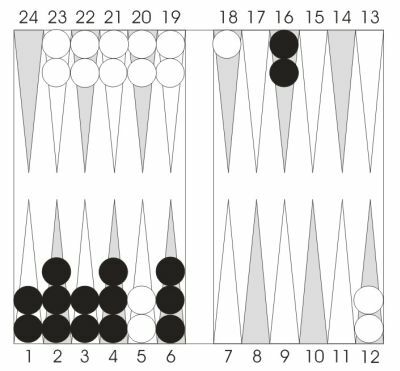 As we look at the individual rolls, it's clear that White's fours, as a group, are much less effective than his deuces. Leaving White a four to hit turns his fours into good numbers rather than mediocre numbers. Now we can see why this is a duplication problem. Playing 16/14 duplicates White's twos, but in a non-obvious way. White's deuces were all playing effectively, but they were doing different things on different parts of the board; it takes some real effort to see that deuces were the number to be duplicated. Next time: More on duplication.